Every blind has a different attribute, a different composite, a different purpose. 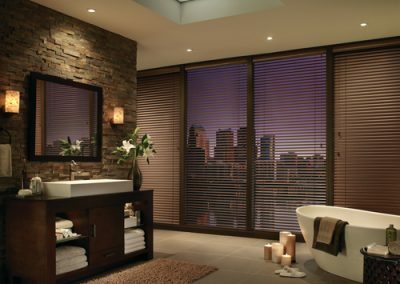 Norman’s “Smart Privacy” has the best light control of any blind on the market. 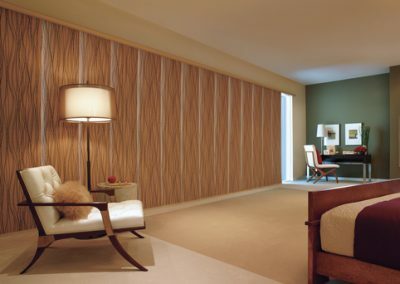 HunterDouglas’ laser-printed patterns on “Everwood” replicate natural wood grains. Alta’s magnet system on valances makes adjustment a snap. With so many choices, you’ll want expert advice. Colorado Custom Blinds, Shades & Shutters knows the details and attributes on every line we sell and will find the right fit for your home and budget. Sustainable: won’t crack, chip, peel or fade. The look of wood mixed with the durability of polymer. 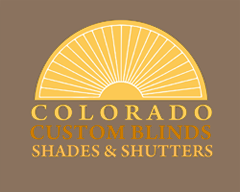 2 and 2 ½” slat sizes. Modern, industrial, environmentally friendly. Metals are making a comeback with a bold 2” slat and natural designs. 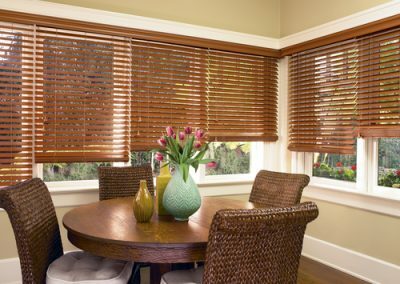 Great for sliding glass doors. Gliding Panels. Fabric louvers, S-shaped louvers and Curved louvers are all affordable options. The warmth of wood with all its nuances and beauty. Rich, elegant and light-weight. 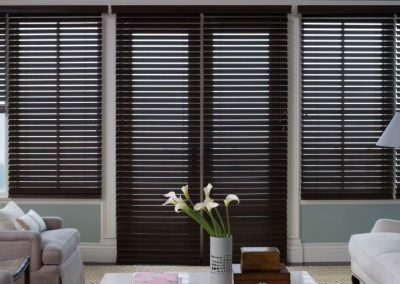 A variety of slat sizes available. We were relocated to the Springs from San Antonio. We purchased our new home in Fountain and were nervous about being able to afford blinds for the whole house! We told Malia we were on a tight budget and she said she could work with that. Malia came to the house and took her time showing me a lot of great options, but I still wasn’t sure! So she emailed a spreadsheet with options and pricing (my husband really loved that!) and even worked with us to do our house in stages so we didn’t have to buy everything at once.